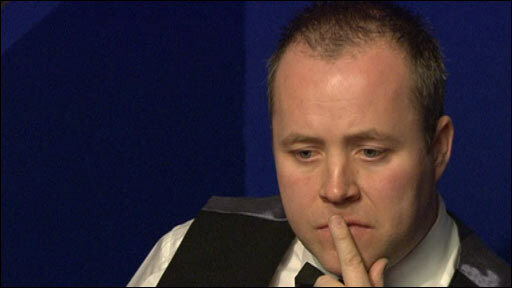 John Higgins says he faces "the biggest match of my life" over allegations he agreed to throw frames for money. A News of the World report claimed it secretly filmed the Scottish player agreeing to take a £261,000 bribe. Snooker's governing body has suspended the world number one pending an investigation into the allegations. There is no suggestion Higgins has ever thrown a frame or fixed a match, and he said: "It's not the World Championship at stake, it's my reputation." The video shows Higgins and his manager, Pat Mooney, supposedly meeting an undercover reporter in the Ukrainian capital Kiev and agreeing to alter the outcome of frames for money. The newspaper also alleges Higgins inquired at the Kiev meeting about the best ways to conceal the 300,000 euros to be received for losing frames in four separate matches later this year. In a published transcript, Higgins said it would be easy to affect the outcome of a frame. But the 34-year-old Scot released a statement on Sunday vehemently protesting his innocence. "My conscience is 100% clear," it read. "Today is the start of the biggest match of my life. I will co-operate fully with the snooker authorities. "Sadly, others have now damaged that reputation and it is now left to me to clear my name. I have never been involved in any form of snooker match-fixing." Former Metropolitan Police detective chief superintendent David Douglas will lead the World Professional Billiards and Snooker Association probe into the claims. 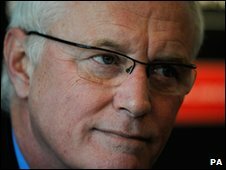 The governing body's chairman, Barry Hearn, predicted the disciplinary process would take "days and weeks" rather than "months and months". 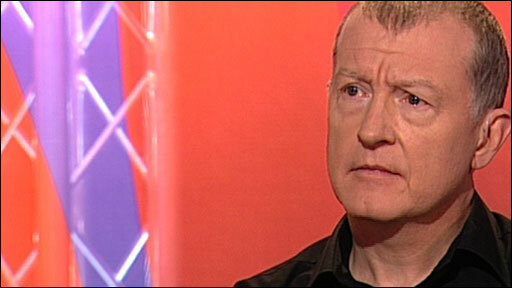 Hearn told BBC Radio 5 live Higgins may never play again if there is truth in the allegations. Revealing that Higgins had wept down the phone during a conversation with him, Hearn said: "I've made him aware there are very serious repercussions on this if this case is proved by the disciplinary council of the WPBSA. "Basically that this is in my view such a level that if the allegations are found, then obviously his whole career is in doubt. He should be aware of that and give it some thought, obviously. Get advice, independent advice. "I don't feel sorry for anyone. As much as I would class John as a nice guy, the game is at stake here. Whatever the penalty is, it sends out a message to everyone. This is a major international globalised sport, these are the rules, don't break them." 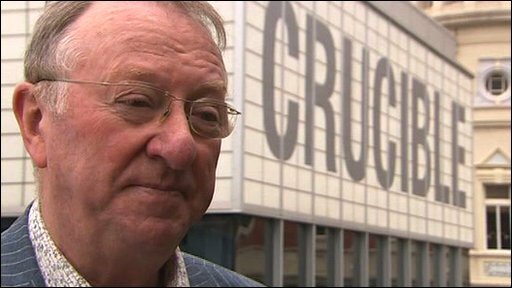 Former world champion Dennis Taylor said he agreed that anyone found guilty of match-fixing should be banned from the sport for life. "Anybody involved in that, they've got to be thrown out of the game, because the game's integrity is at stake," Taylor, who won the world title in 1985, told BBC Radio 5 live. "I've known John since he turned professional and in fact practised with him when he was a young lad. "It was a real shock because he's still the current world champion and world number one and I just couldn't believe it, so it remains to be seen about these allegations." Taylor added that there was "quite a dark cloud" hanging over the Crucible Theatre, where the World Championship final between Neil Robertson and Graeme Dott - the latter also managed by Mooney - will finish on Monday. Its outcome is likely to overshadowed by the claims levelled against Higgins, who relinquished the crown he won last year when he was beaten at the second-round stage by veteran Steve Davis. Rick Parry, a former chief executive of Liverpool FC who chairs a government panel on integrity in sport, told BBC Radio 4's Today programme: "It's very disappointing. The fundamental thing is that one allegation or one provable case can have a devastating impact on a sport." Asked about the vulnerability of sport to organised gamblers, especially in the Far East, Mr Parry replied: "It is incredibly difficult, impossible in fact, for us to regulate what is going on in Asia with the illegal betting syndicates." He said what was needed was for all sports to have unambiguous rules and heavy punishments for those who flouted them and education for young players so they know the rules and the potential dangers. Mooney, who has resigned from the board of the WPBSA, claimed he and Higgins had been intimidated at the Kiev meeting and had, therefore, agreed to the deal in order to leave the scene as soon as possible. Higgins concurred with this claim, and, when confronted by a News of the World reporter after the undercover filming had taken place, said he feared he was dealing with the "Russian Mafia". However, the newspaper has said its investigations editor had held three prior meetings with Mooney in Edinburgh, adding that Higgins and his manager did not "show any signs of being under duress or in any way unhappy at being in our company". The tabloid has promised to publish further revelations next weekend. Sports promoter Hearn, who is also chairman of Leyton Orient, was installed as the sport's new supremo in December on the back of radical plans to boost snooker's popularity. His resolve to continue with these reforms may be tested in the coming weeks, though six-time world champion Steve Davis says he expected Hearn's influence will be crucial in attempting to restore the game's integrity, which he claimed had "evaporated overnight". "With Barry Hearn in the process of taking the game over, he may be able to cut the cancer out of it from day one," said Davis. Hearn told the BBC he had already spoken to Mooney and planned to meet with the sport's professional players on Wednesday to discuss the allegations. "This is now top of the agenda," he said.